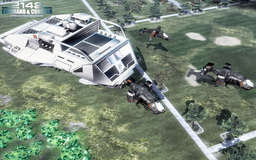 C&C 2142 is a modification for Command & Conquer 3: Tiberium Wars set in the Battlefield universe which throws the player forward to the year 2142 where a new Ice Age has humanity once again fighting for survival. Players can choose to fight for one of two military superpowers - the European Union or the new Pan Asian Coalition - in an epic battle for the last habitable lands. 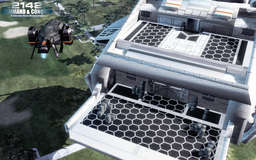 A range of devastating, hi-tech arsenal will be available, including assault rifles, cloaking devices and sentry guns. CD : Lets start with a brief introduction; who derek328 is and what is your role within C&C 2142? derek328 : My name is Derek Leung, I am currently studying at the University of Washington in Seattle. My primary role within C&C2142 is to coordinate with our team members from different countries around the world, and oversee development of the modification. Over the course, I have also taken up various tasks: modeling, programming and public relations just to name a few. CD : Please describe C&C 2142, what are the main goals of the mod? 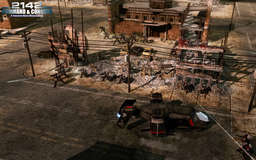 derek328 : "Command & Conquer 2142" is a total modification project of "Battlefield 2142", a First Person Shooter from EA, for the game C&C3. We aim to recreate the intensive battle sensations of futuristic warfare, as offered in BF2142 – this time without all the lagging, exploiting, PunkBuster "losing key packets", and most of all, purposeful teamkills. CD : Please explain to us virgins of the Battlefield series how this mod will play, are any C&C RTS mechanics involved? derek328 : BF2142 tells the story of Earth in the year 2142, when the dawn of a new Ice Age has thrown the world into a panic. The soil not covered by ice can only feed a fraction of the global population. The math of this war is simple and brutal: some will live, most will die. Thus, two global superpowers – the European Union and the newly-formed Pan Asian Coalition – set out in an epic battle against each other for survival. CD : Can we expect to see any familiar C&C units up-close and personal? derek328 : BF2142 and C&C3 are very similar in many ways, so players can definitely feel resemblances between units, like EU’s Tiger and GDI’s Predator tanks. 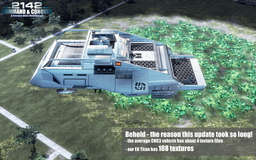 Vehicles aside, infantry units will play a much bigger role in CNC2142 – they will have a clear selection of upgrades available from BF2142, ranging from motion mines to RDX explosives. With a well coordinated plan, expect to see these soldiers of the future wreck havoc! CD : Who's working on C&C 2142, anyone we might recognise from previous projects? derek328 : Truth be told, CNC2142 is our first project! Currently, we have 8 members in total from all over the world, including a few who just drop-in as think-tanks. Some of our most notable members include warlord007, who is in charge of mapping and one of the first that started CNC2142 with parko328 and I. We are also extremely grateful to have cityhunterppp from China, for his genuine enthusiasm and help introduce us to MS Referee. MS Referee has been in charge of many of our models and textures, CNC2142 would not be half as good if it wasn’t for his help. Another notable mention would be Helge129, he has been an important part of our team for a while, and helped create some of our animations. Finally, we’d also like to thank Nighthawk for hosting us at CNCguild.net, as well as EA and DICE for giving us the authorization in the first place to use their BF2142 as basis for our project – we could never thank them enough! derek328 : Progress has been simply amazing! We have scored over 50,000 views in the past 6 months, and landed in the Moddb Top 10 Mods list (out of almost 12000 entries) on many occasions. Vehicle models are almost finished – we’ve started working on structures recently. If everything works well, our first public release should be ready around summer 2010. This release date is definitely achievable! CD : Describe a typical day in the life of the C&C 2142 development team? derek328 : That would be RA2 Yuri’s Revenge. It is one of the first few C&C games I’ve played, but I still remember the campaigns fresh in my mind! In terms of modding, while I haven’t tried it myself – I suspect RA3 is the easiest to mod due to improvements in the programming aspect? derek328 : Definitely! I know C&C4 was a disappointment for most people, but let’s not forget that the Tiberium saga is only a part of this fantastic franchise. 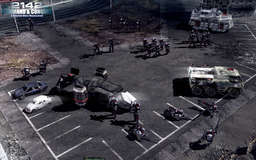 We still have Red Alert and Generals, and both of these series are legends in their own rights. If there is one thing that I have personally learned from the experience of making CNC2142, it is never give up hope. 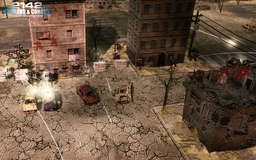 I suspect the time before a new C&C game from EA is yet long, but for those you who wants a fresh RTS experience with intensive gameplay, great visuals, and all of your good ol’BF2142 memories recreated at your fingertips – remember to visit our Moddb page for the latest updates at http://www.moddb.com/mods/cnc2142! CD : And finally, what do you prefer boxers or briefs? Thank you very much to derek328 for taking the time to answer my questions and provide such in-depth answers. If there is anyone you'd like to see us interview in the future, or any particular questions you'd like to ask, suggest them at our forums.